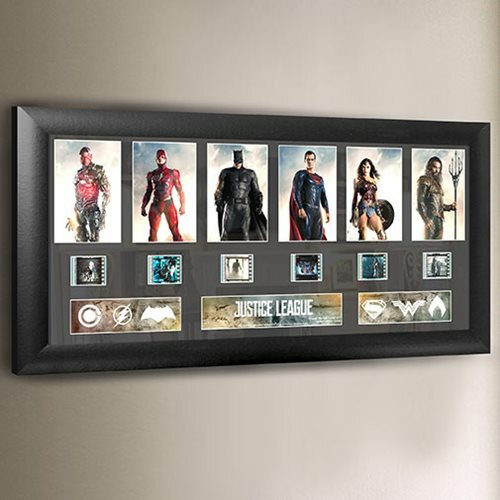 Put the Justice League on your wall! Six vivid character images and six authentic 35 mm clips of film from the movie! Cyborg. The Flash. Batman. Superman. Wonder Woman. Aquaman. Deluxe Film Cell measures about 20-inches wide x 11-inches tall. Cyborg. The Flash. Batman. Superman. Wonder Woman. Aquaman. What more could you ask for? 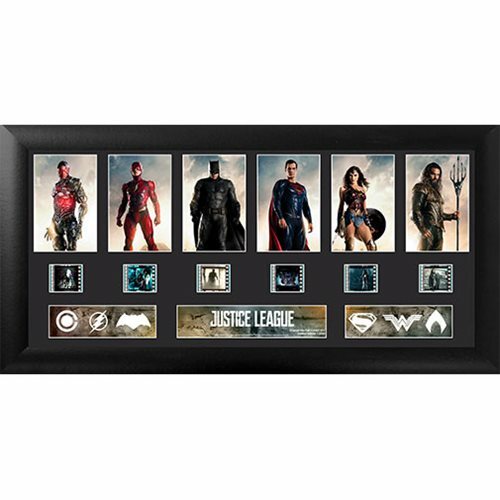 This Justice League Series 1 Deluxe Film Cell measures about 20-inches wide x 11-inches tall and features six vivid character images above six authentic 35 mm clips of film from the Justice League movie!Plus, there's a black mdf frame, a numbered limited edition name-plaque, and an embossed/foiled certificate of authenticity. Made in the USA.